Last week, Americhem U kicked off its Winter/Spring season with a class on “Designing Color Masterbatches,” taught by Americhem color and synthetic fibers expert Roger Threadgill. 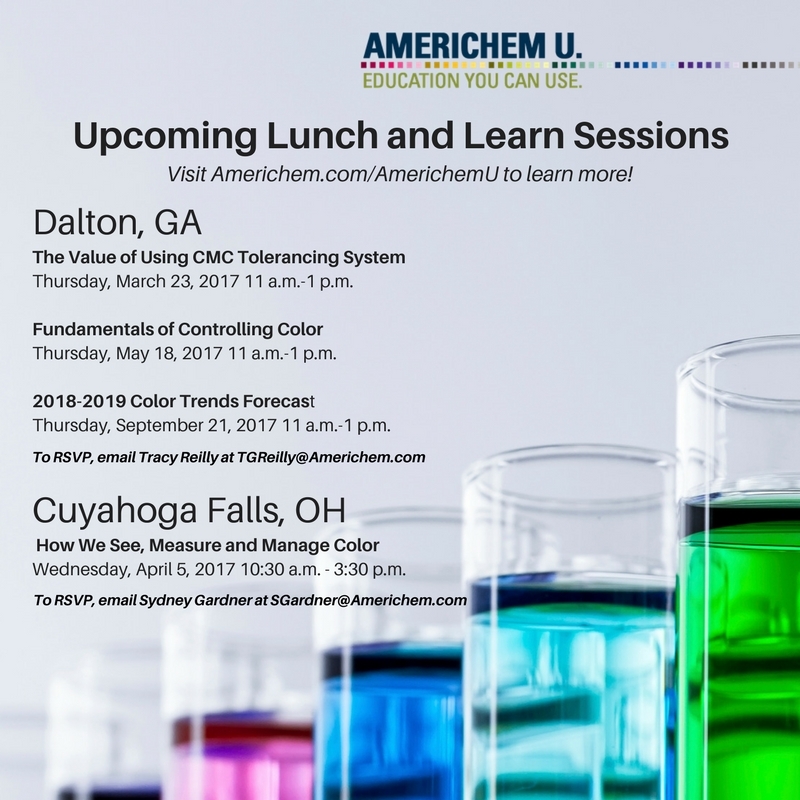 It was nice to see Americhem U back in session in Dalton, Georgia, where we’ve been teaching color classes to industry professionals since 2011. During that time, we’ve taught 23 classes to almost 700 industry professionals focusing on topics such as color trends, color measurement, color tolerancing, weathering and polymeric additives. This year, our classes are being held at a new location, the Dalton Golf and Country Club. Participants enjoyed the nearly hour-long presentation before networking with other professionals in the carpet and synthetic turf industries during a buffet lunch. We have found that this “lunch and learn” format helps educate while keeping up with the developments within the industry. 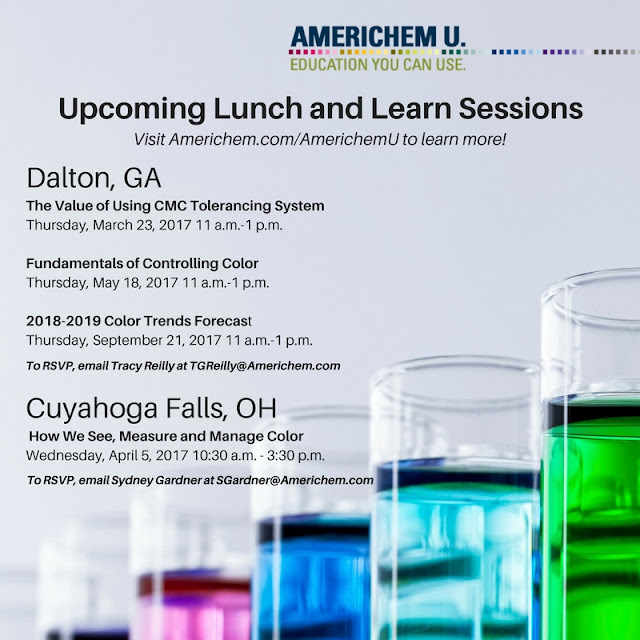 We learn much through our interactions with those who attend Americhem U classes. In fact, we survey participants at every class, and the subsequent year of classes is determined by those that we survey. We teach the classes quarterly in Dalton, semi-annually in Cuyahoga Falls, Ohio (near Cleveland) and, for customers of Americhem, we’ll even bring Americhem U to you at your plant or office. We’ve also instituted a series of Americhem U webinars that can be attended anywhere there’s a good internet connection. Color is a complicated subject and it has a huge impact in the manufacturing arena. We pride ourselves on helping you to understand color’s many facets and how you can get color to help you sell your products, no matter what industry you’re in. For more information, visit www.americhem.com/americhemu or contact me by posting a comment below.